The company was founded by Mr. Chester Jefferies and Mr. Gilbert Pearce, today the company is run by the Third and Fourth generations of the Pearce family and they still enjoy a worldwide reputation for excellence in traditional glove making. Originally based in Slough, the business was moved to the town of Gillingham in Dorset, the heart of the traditional glove-making region of England’s West Country. The Chester Jefferies business has been built on the companies’ skills and experience in the selection of quality materials and the traditional methods of cutting and sewing. In the design and making of all the gloves, the present family management remains firmly committed to the two essential features of top quality and outstanding value. The companies’ high quality standards have been maintained by blending the traditional making skills along side a thorough control procedure. Our gloves are made from the finest materials, which have been carefully selected by the Master Glove maker. 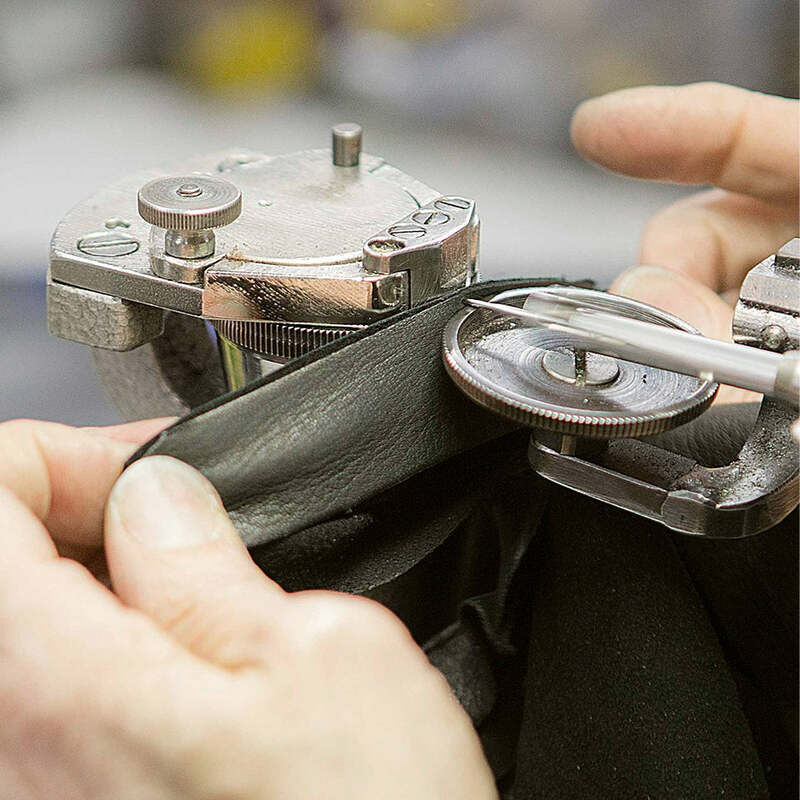 Unlike the majority of the gloves that are made today, Chester Jefferies gloves are made from leather which has been individually selected and prepared before being cut the traditional way, by hand. It is this careful preparation together with the traditional making methods used by the companies’ craftsmen which ensure the perfect fit & excellent wearing characteristics of a pair of these fine English made gloves. The range of gloves the company can offer is wide and varied, from classic formal dress, casual, military, equestrian, shooting & theatrical. Each design in each area has been carefully developed to achieve the best combination of stylish appearance, comfort & to maximise it’s lifetime to the user. Over the years we have had the opportunity to supply gloves to the members of the Royal family, film, stage shows and musicals. Joshua Ellis has collaborated with Chester Jefferies on two glove styles. The “Donegal” for men and the “Ardara” for woman. All the gloves are made using the softest leather, knitted cashmere lining and finest cashmere fabric. Made in England using the finest English cashmere. What could be better? !